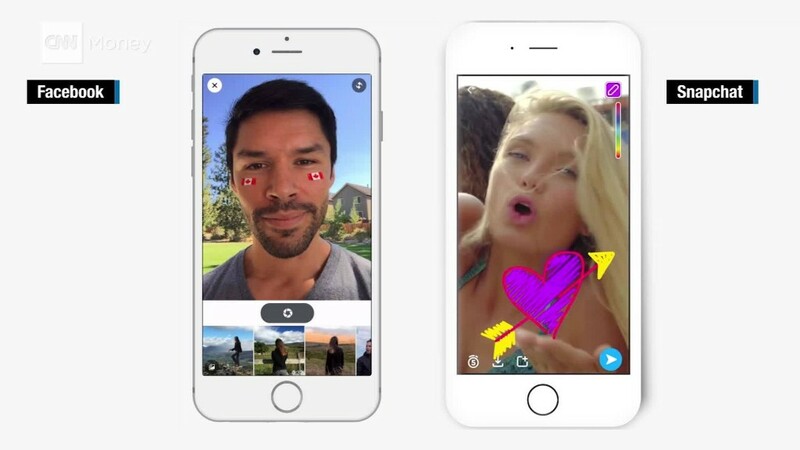 It might be jarring to some, but will seem instantly familiar to anyone who's used Snapchat. 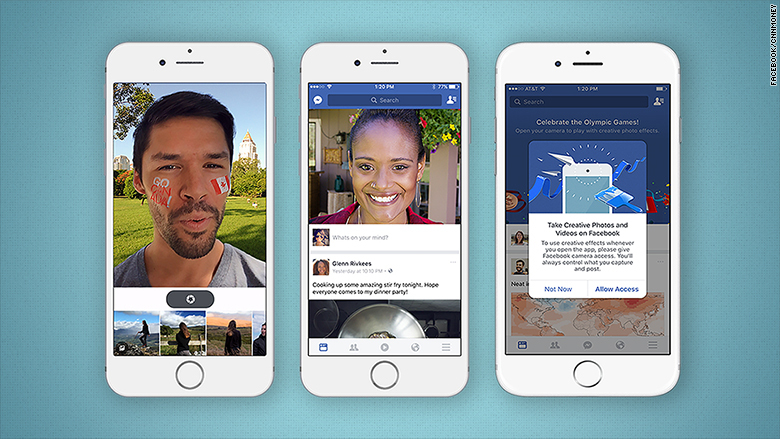 In fact, it's Facebook's (FB) second unabashed Snapchat rip-off this week. On Tuesday, it introduced the photo and video collage feature Instagram Stories, a pitch perfect imitation of the popular Snapchat Stories. Unlike its other attempts at imitating Snapchat, the new camera feature will be nearly impossible to ignore. It is the first thing users will see when they open the app in Canada, or iOS app in Brazil. It takes up half the news feed. That's a valuable piece of real estate, and it shows that Facebook is not taking silly video selfies covered in doodles lightly.